At Audubon Nature Institute in New Orleans, we looked forward to continuing our integration of The Learning Academy into our employee offerings. 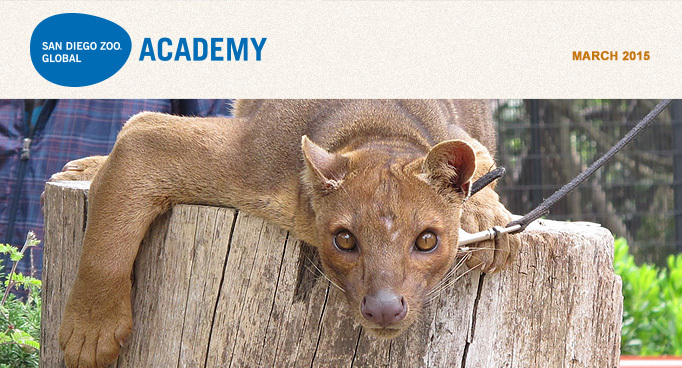 The Learning Academy is the privately branded San Diego Zoo Global Academy site launched at the Audubon Nature Institute. With a diverse workforce spread across a number of different physical locations, we knew the courses offered by The Learning Academy would have particular relevance for our employees. We decided to release The Learning Academy using a step-by-step rollout plan. We identified key influencers in our organization and used them as our pilots. The pilots went through the course offerings, identifying classes they felt would have value for their team. The pilots also identified and helped smooth over any technical difficulties we may have had with implementation of The Learning Academy. Our rollout plan continued with the registration of all members of our team at manager level or above. This group was assigned three required courses along with a list of 10 other classes that we recommended for their professional development. The course listings for The Learning Academy are extremely comprehensive, and we felt that giving our leaders specific course requirements would ease them into Academy offerings without overwhelming them with a lengthy list of options. The courses have been well received and our leaders are looking forward to continuing with the training and information The Learning Academy offers. The next step in our rollout will be registering our entire curatorial staff, asking our curators and keepers to complete the 13-course Animal Care Training Series. Animal staff employees who successfully complete the series will receive a certificate of completion. We have also identified additional courses to continue and enhance the development of our leaders. Our goal for 2015 is for 75% of our employees to be enrolled and actively involved with our Learning Academy. We would also like to see departmental managers design customized course objectives for their teams. 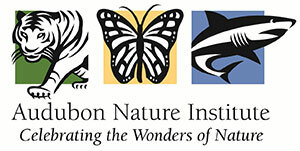 Since a notable percentage of the workforce at Audubon Nature Institute does not have regular access to a computer at work, an important goal for us this year is to implement a learning lab, giving all team members a place to familiarize themselves with comprehensive course offerings of The Learning Academy, as well as a dedicated location where employees may complete their assigned courses. The first course in this series that will be available is Animal Welfare and is currently near completion. The course was authored by Dr. Lance Miller, formerly of San Diego Zoo Global and now with the Chicago Zoological Society. Dr. Miller also serves as the vice-chair of AZA's Animal Welfare Committee. This course will be highly interactive and focus on a holistic view of animal welfare—including veterinary services, research, nutrition, enrichment, training, and exhibit design. It will cover considerations for all stages of an animal's life, how to measure welfare, and best practices in providing animals with choice and control within their environments. Because San Diego Zoo Global believes that this topic is so important and is such a vital part of our own mission, San Diego Zoo Global will make this course available to professionals around the world completely free of charge. The Fossil Rim Wildlife Center in Glen Rose, Texas has joined the Academy's collaborative learning environment with their two privately branded custom sites, one for their employees and one for their volunteers. Welcome! The San Diego Zoo Global Academy will have an exhibitor table at the mid-year conference, taking place in Columbia, South Carolina later this month. Please come by and see us! Gary Priest and Jon Prange will be at table #16 on Tuesday, March 24 and Wednesday, March 25. A Continuing Education Unit (CEU) is defined as 10 contact hours of participation in an organized continuing-education experience under responsible sponsorship, capable direction, and qualified instruction. The primary purpose of the CEU is to provide a permanent record of the educational accomplishments of an individual who has completed one or more significant non-credit educational experiences. Awarding the CEU developed by the International Association for Continuing Education and Training (IACET) provides a quality indicator for your continuing education and training programs, because it means you have been reviewed and approved for complying with internationally recognized standards. For individual learners, certifying agencies, and education providers, IACET CEUs demonstrate that a program has paid attention to such elements as developing clear learning outcomes, assessing learner needs, and conducting thorough evaluation to ensure continuous improvement. Courses in your Academy custom site catalog are eligible for Continuing Education Units (CEUs). You will know whether a course has CEU availability, as well as how many you will earn on completion of the course, by viewing the course in the catalog and seeing "CEUs: 0.1." Why do I only receive 0.1 CEUs for an hour's worth of work? One CEU equals 10 contact hours of learner interaction with the content of the learning activity, which includes classroom, self-paced instruction, pre/post assignments, and/or homework in support of a learning outcome. For example, 17 contact hours equates to 1.7 CEUs, and 3 contact hours equates to 0.3 CEUs. For more information, please visit the official IACET website. Every volunteer program has its own unique people, purpose, culture and story. Volunteer programs are definitely not one-size-fits-all. So how can you possibly accurately and successfully measure the success of your volunteer program, especially when your bosses and board of trustees want to see measurable proof? In the webinar "Measuring Your Volunteer Program's Success," you'll learn several strategies for pulling together a cross-section of tangible results, including tips on how to show both ROM and ROI. This course is designed to teach the important foundation of working safely with dangerous animals. 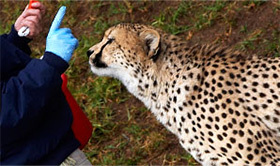 You will learn general strategies for working safely in a zoological environment, as well as specific strategies for managing and working with the great apes, venomous and large reptiles, large carnivores, and ungulates. These topics are essential for working safely and preventing injury in a zoological environment. The content expert for this course is Nicki Boyd, the behavior husbandry manager at the San Diego Zoo. Her educational background includes graduating from Moorpark College's Exotic Animal Training and Management program, Mesa College's Animal Health Technician program, and an associate in science degree. She has a bachelor degree in business administration from the University of Phoenix.